Dragon Ball Super Chapter 46 dropped this week, showing Moro make quick work of both Goku and Vegeta as the two tried to stop the evil wizard while on Namek. The duo were already worn out after Moro's absorption technique prevented them from turning Super Saiyan, but things went from bad to worse once he drained almost all of their energy by grabbing them both by the neck and knocking them unconscious. After consuming their combined energy, Moro's body quickly transformed into a younger, more muscular form, and he used his newfound power to terrorize the Namekians for their Dragon Balls. Given that he was able to take down two full-powered Super Saiyan Gods and has shown he can consume the energy of entire planets with his absorption technique, fans have already started asking — could he beat Beerus? The God of Destruction has been the measuring stick for every Dragon Ball villain ever since he first arrived in Dragon Ball Z: Battle of Gods, and he has been shown to be much stronger than both Goku and Vegeta even in their Super Saiyan Blue forms with his Hakai ability. So could Moro stand up to something like that? 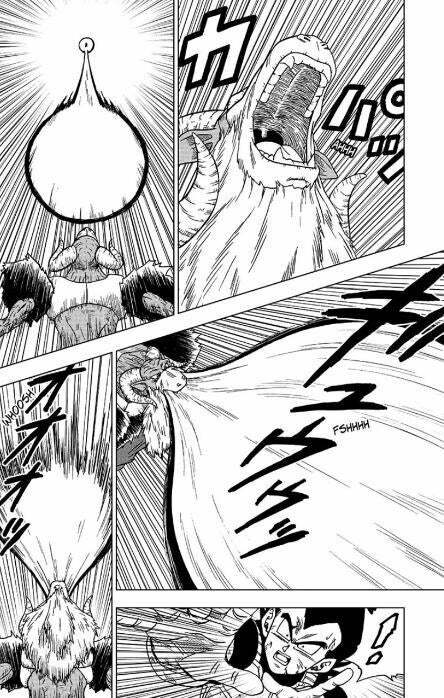 Well the manga gives a convincing argument when it shows that he is not only able to absorb energy from lifeforms around him, but also from energy attacks that are launched at him. Vegeta learned that firsthand in the latest chapter when he consumed a Galick Gun blast. If Moro were able to consume Beerus' God Ki, or somehow absorb the force of a Hakai attempt, his power would likely spike to levels never seen before. But on the other hand, it's possible Beerus would see this coming. While he opted not to help Namek during the ongoing fight, he hasn't confirmed whether he knows who Moro is -- he was first captured 10 million years ago, but Beerus is roughly 200 million years old. If he does, he'd likely know not to waste time with energy attacks and would use his Ultra Instinct Omen ability to fight in hand-to-hand combat. What do you think? Leave a comment below with your pick on who would win in a Moro vs. Beerus fight!